Water contaminated with mercury and other toxic heavy metals is a major cause of environmental damage and health problems worldwide. 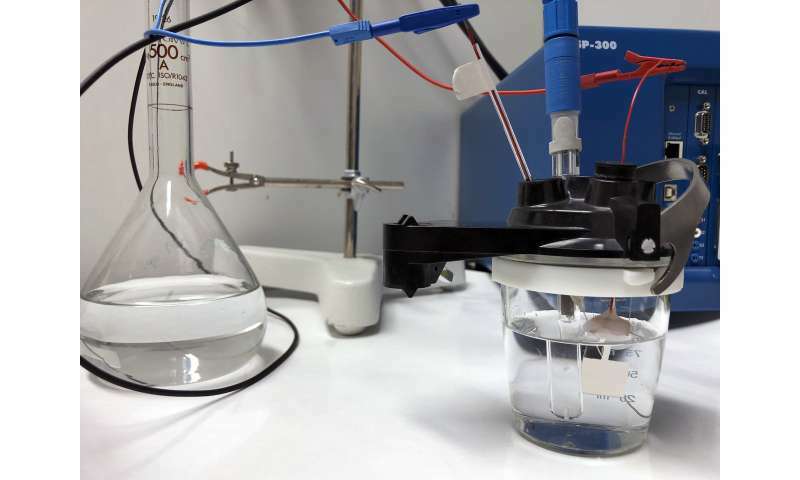 Now, researchers from Chalmers University of Technology, Sweden, present a totally new way to clean contaminated water through an electrochemical process. The results are published in the scientific journal Nature Communications. "Our results have really exceeded the expectations we had when we started with the technique," says the research leader Björn Wickman, from Chalmers' Department of Physics. "Our new method makes it possible to reduce the mercury content in a liquid by more than 99 percent. This can bring the water well within the margins for safe human consumption." "Today, cleaning away the low, yet harmful, levels of mercury from large amounts of water is a major challenge. Industries need better methods to reduce the risk of mercury being released in nature," says Björn Wickman. 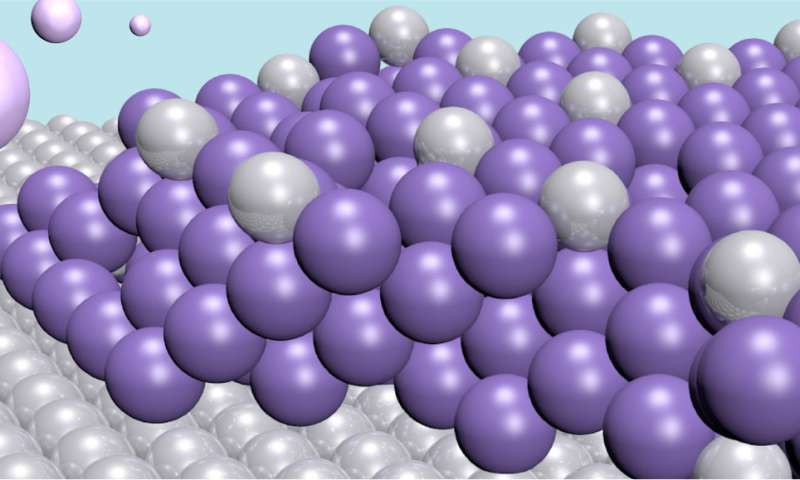 Their new method involves a metal plate—an electrode—that binds specific heavy metals to it. The electrode is made of the noble metal platinum, and through an electrochemical process it draws the toxic mercury out of the water to form an alloy of the two. In this way, the water is cleaned of the mercury contamination. The alloy formed by the two metals is very stable, so there is no risk of the mercury re-entering the water. "An alloy of this type has been made before, but with a totally different purpose in mind. This is the first time the technique with electrochemical alloying has been used for decontamination purposes," says Cristian Tunsu. "Another great thing with our technique is that it is very selective. Even though there may be many different types of substance in the water, it just removes the mercury. Therefore, the electrode doesn't waste capacity by unnecessarily taking away other substances from the water," says Björn Wickman. "We have already had positive interactions with a number of interested parties, who are keen to test the method. Right now, we are working on a prototype which can be tested outside the lab under real-world conditions." The technique could be used to reduce the amount of waste and increase the purity of waste and process water in the chemical and mining industries, and in metal production. It can contribute to better environmental cleaning of places with contaminated land and water sources. Today there are strict regulations concerning the management of toxic heavy metals to hinder their spread in nature. But there are many places worldwide which are already contaminated, and they can be transported in rain or in the air. This results in certain environments where heavy metals can become abundant, for example fish in freshwater sources. In industries where heavy metals are used, there is a need for better methods of recycling, cleaning and decontamination of the affected water. Can this be done using a zinc electrode, as these are both cheap and readily available for boating and pipe-line protection ? ?